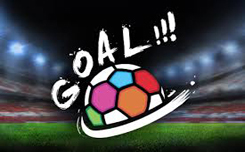 Goal is dedicated to football, which has long been a favorite sports game for people around the world. The Goal gaming machine consists of four reels. In each column, four characters are visible on the screen. They are used to compile paid chains that are formed on sixteen lines. The number of lines involved is always the same. They are arranged in four directions: from left to right, from right to left, from top to bottom and from bottom to top. This system is called Perma 4-Way Pay. Wild (ball) can appear in any cells. He is able to form chains himself and, if necessary, replaces other pictures, except for the scatters. Scatter (cup) brings payouts regardless of location on the screen. Three scatters begin the free spins. 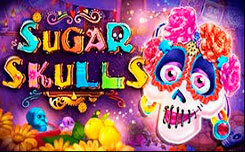 Free Spins – Ten free spins occur on casino money. The bet remains unchanged until the end of the round. Spins can be extended by three or more scatters.